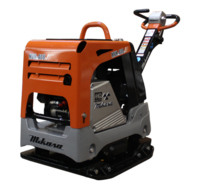 The Multiquip-Mikasa MVH158GH Reversible Plate Compactor is the ideal high-production machines for efficient compaction of sand, gravel and cohesive soils. Replaced the popular MVH150VGH. The Multiquip-Mikasa MVH128GH Reversible Plate Compactor is the ideal high-production machines for efficient compaction of sand, gravel and cohesive soils. This model replaced the MVH120VGH. 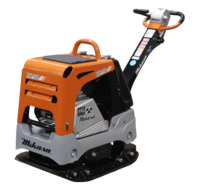 The Multiquip-Mikasa MVH308GH Reversible Plate Compactor is the ideal high-production machines for efficient compaction of sand, gravel and cohesive soils. Replaced the MVH306VGH.